Given below are some of the distinguishing features of both the brands’ solar modules that will help the buyers to choose from. JA Solar sells solar panels as an OEM Solar Panel Producer which means that it sells its solar panels to companies who put their own brand names on solar panels produced by JA Solar. Renesola also sells most of its Solar Panels under an OEM Contract. Both Renesola and JA Solar Modules come in Monocrystalline and multicrystalline make. The different monocrystalline solar modules from Renesola are: i) 156 black mono (250w-260w), ii) 125mono (190w-200w), iii) 156square mono (260w-270w) and iv) 156mono (250w-260w). While JA Solar offers i) SECIUM JAM5 72, ii) SECIUM JAM6 60, iii) SECIUM JAM6 72, iv) JAM(L) 72, v) JAM6 60 under monocrystalline make. The multicrystalline solar modules from Renesola are: VIRTUS VIRTUS II series, while from JA Solar are i) MAPLE JAP6 60, ii) MAPLE JAP6 72, iii) JAP6 72 and iv) JAP6 60. The cell types found in Renesola are 125×125 and 156×156, whereas in JA Solar they are 125×125, 126×126 and 156×156. The solar modules’ wattage for JA Solar range between 195 W – 320 W, for Renesola modules the wattage range is 190 W – 310 W.
The Renesola Solar modules have frames made of Anodized Aluminum Alloy, whereas JA Solar panels come with the traditional Aluminium frames. Weight for Renesola modules are 16 kg, 19 kg, 29 kg whereas for JA Solar modules it is 15kg, 15.5 kg and 18.5 kg. Both JA Solar and Renesola Modules come with a positive power tolerance of 0-+5W. Renesola Modules confirm with PV standards such as IEC 61215:2005, IEC 61730:2004, UL 1703, whereas JA Solar Modules have IEC, CE and UL certifications. 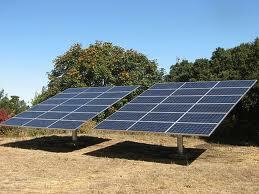 JA Solar come with a 10-year quality guarantee and 10 – 25-year power output guarantee. Renesola modules have a limited product warranty – 10 years repair, replacement or refund remedy and 25 years limited peak power warranty – limited remedy. For other technical details, you can look into the respective websites of Renesola and JA Solar.